The table quizzes continue, of course, and I was in action myself on Thursday night last. I had taken notes of the questions we missed but, right now, I can’t find them. So, in the meantime, here is a nice idea for a picture round as faced by my mate Ger on Tuesday night last, in Gilligan’s of Claremorris. The premise is simple. 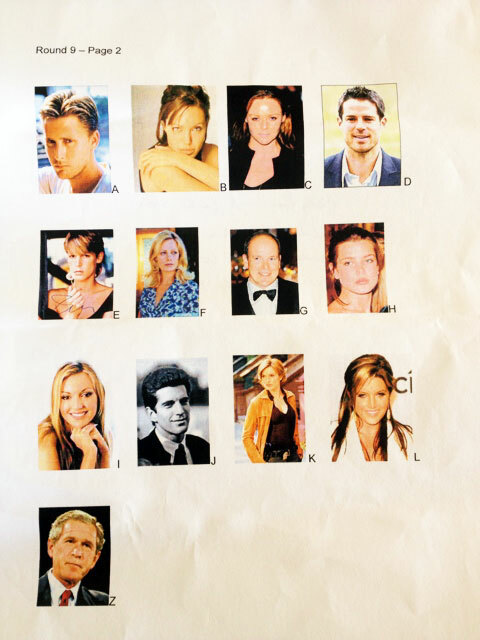 Page 1 features 12 pictures of some famous people. 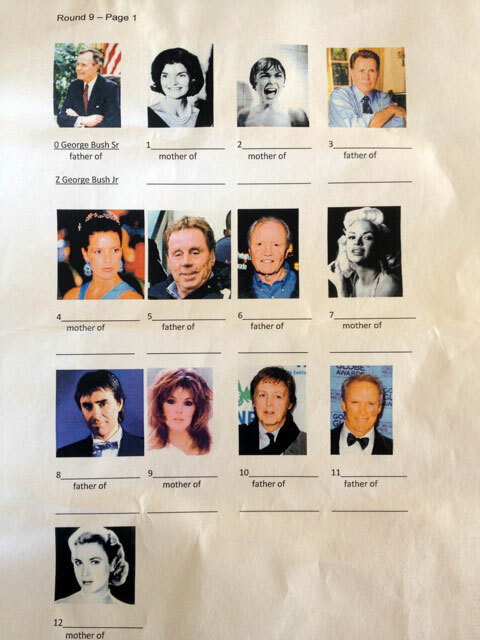 Page 2 features 12 pictures of some famous and some not-so-famous faces. The thing is, the 12 on page 2 are each the offspring of one of the folks on page 1. So, as well as identifying the 24 faces, you have to say who is the related to who. It’s a great round, one I’d have been proud of myself. That said, if I’d have set this round I’d have awarded three points for each pairing. The quizmaster on the night was harder to please, apparently. He required the complete answer of parent and correct child’s name for each one point! Wow! Give it a go. Answers to follow tomorrow.